The situation is great, you have all the social media and online marketing strategies in place, but have you considered your real-world ranking factors? You need to look at the whole picture when contemplating your physical therapy marketing and ranking structures. How patients judge and share their thoughts and feelings about your brand can largely impact on your credibility. There is more to your business than just online presence and real-world ranking factors are something to consider when looking at how patients judge your brand. What are real world ranking factors? When thinking about real world ranking factors you need to look at how your customers feel about your business. What makes people want to visit you and purchase your products and services? Well, recommendations and real reviews have a massive affect on whether customers will choose your business over one of your competitors. When checking out your website, most potential clients will check out your business reviews. It is important to have the confidence to allow for feedback in the form of reviews to be left on your site. It gives your clients a way to tell you directly what they feel about your services and how you have helped them on their physical therapy journey. It also means you can reply to the reviews thanking and acknowledging the time to leave feedback. This of course means there is the opportunity for bad or negative reviews to be left to. With this you need to think about damage limitation and have a plan on how to react to a negative review. No matter how good your business is, there will always be someone who isn’t happy so knowing how to respond in the best way is key. Alternatively, you can choose some handpicked customer quotes or reviews to include on your website with their permission. That way you are in control of what is shared and offers a positive and still truthful image of your business without having to keep on top of replying to new reviews. Whatever people are looking for nowadays they will check for a social media presence. What a business shares on social media can show a lot about the brand and the service it offers as well as how it communicates with its customers. A business without any social media presence at all may not be trusted. Once potential clients find you on social media, they will analyse how many followers you have and what people are saying about you. They will look at pictures, recent posts and most importantly and reviews or ratings that have been left on your page. What you share on social media therefore is really important to inspire trust and confidence for new customers. Encouraging them to follow your page, visit your website, learn more about you and book in with you. This is where you need to include calls to action within your posts and picture you share on your social media platforms. It gives you more of a chance to convert your social media posts to website visits and bookings. Your presence and ranking on google local is a big indicator of how patients judge your service and how well you will be found on a local business search. When a customer is searching for local businesses which offer the services you do, you must ensure you rank highly within that search result. If you don’t rank highly in the results, then you may need to update your information in the Google My Business page. To do this you need to complete your full data, verify your location and make sure your business hours and contact details are up to date. Adding photos to your listing will also improve your views and ranking with this feature. Providing Accurate and attractive pictures show potential customers that your business offers what they are searching for. When answering search queries for local businesses, google looks at a few factors before showing results. These are relevance, distance and prominence. This means, how much information in your business details matches the search, how far away from the location searched you are and importantly how well-known your business is. So, it is imperative that your listing details are accurate and up to date on your Google local business page. An old one but a good one. If you offer a great service, your clients will tell their friends and family about it. If you have a good experience then word of mouth, especially for a local business. This is also true of negative experiences too. So, if you offer your customers excellence word will get around that you are the physical therapy business to visit and book with. Don’t forget about handing out business cards or flyers for your customers to hand on to your friends. That way you will be remembered and are more likely to get a good referral later down the line. So, you know what effects your real-world rankings but how can you get feedback that will help your business grow and improve your brand image? There are some ways you can encourage your clients to share their opinions and experiences with you in a clear and honest way. Of course, you only want to receive positive feedback, but negative reviews can help you review your practices and improve too. Here are some ways you can get feedback from your clients. If there are certain elements of your service you want to get feedback on, then sending out surveys that are tailored to these areas is an excellent idea. These surveys can be paper based or electronic depending on how you want to review them and what would be best for your client base. For example, you could hand out a short survey form at the end of your client session, for them to fill out there and then or to complete and return it when they arrive for their next session. Or you could send out electronic surveys by email where you will get instant results back. Once you have the results of your survey you can analyse this and get a good understanding of what your customers think about your business. Embrace the positives and work on how you can improve on the negative elements that have identified. Similar to surveys but shorter and giving fewer specific questions. These are great as a short and easy way to get instant feedback about a client’s session. Again, you can choose from paper or electronic and whether you want to ask for feedback directly after the session or later on. Electronic feedback will make it much easier to analyse your results and save time inputting data from paper forms. You can also use tools that will send out the feedback forms or surveys and automatically analyse the data for you so all you need to do is look at the results. Social media feedback can be really impactive, so you need to keep on top of your pages, reviews and feedback comments. When using a Facebook business page for example, there is the option to allow ratings and reviews for your business and you will be notified when someone has left feedback. This is similar to reviews left on your google business page too. Ratings can be from one to five stars and comments can be added. Feedback can also be in the form of private messages, posts on your page, tweets etc. When it comes to social media you must ensure you only use platforms that you can manage and keep on top of. Unmanaged accounts can also have a negative impact on your business as questions are left unanswered and comments not responded to. A good test of how a patient judges your services is if they are willing to recommend your business and services to a friend. It is a simple and easy question to ask whether in person or on a form of some kind. Just one simple question can help judge how your client feels about your business. There will be times when you will receive feedback that is criticising, and you need to react in the right way. Avoid immediate responses and think about damage limitation. Taking negative feedback and reviewing it to make changes will be seen as graceful and good business practice. Respond well where you can and create carefully crafted replies which address the issue. Most of the time you can deal with these issues yourself but in serious circumstances you may need to employ a specialist for brand management and damage limitation. How do patients judge service quality with real world ranking factors? You must remember that real views and opinions of past clients are one of the most important factors reflecting on your service quality. 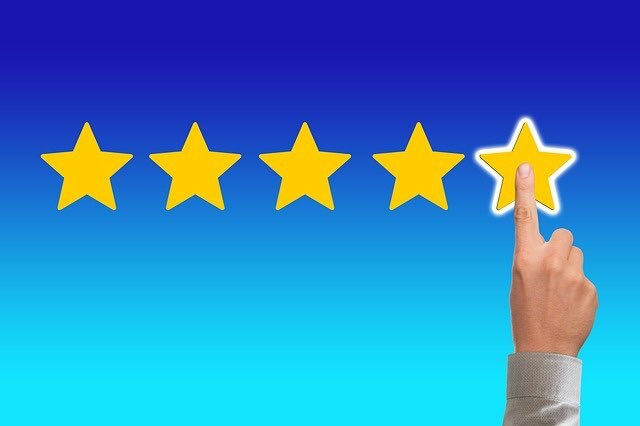 New clients and customers are most likely to judge your services on the reviews and feedback given by others who have experienced your business rather than from the business yourself. There are many ways you can improve and review your real-world ranking factors, and these are just a few ways you can do that. All this to ensure your patients are receiving the best possible treatment and service your business can offer. Because your business will not thrive without happy clients.